In perfect condition- that's a reflection in the glass. In perfect condition- that's a reflection in the glass on the left edge. handing out autographed note sheets at Disneyland (click image for a larger view). 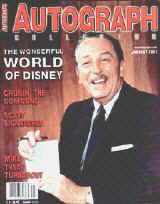 Walt Disney's Autograph... With Mickey Mouse! 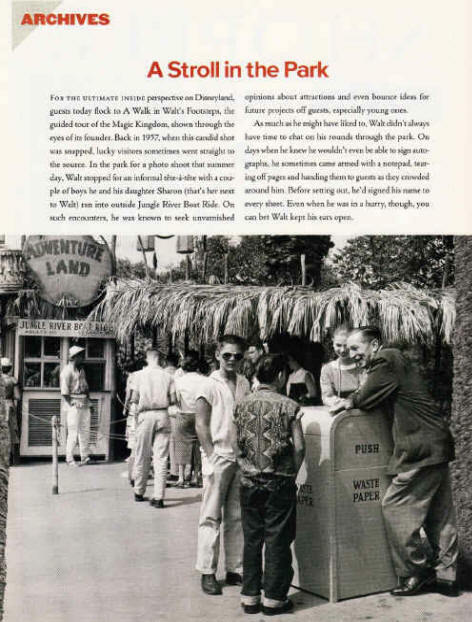 Nineteen years ago I mentioned in my article in E TICKET MAGAZINE that Walt Disney kept note paper like this on his desk, and when he anticipated going into a crowd of autograph seekers- at Disneyland for example- he would sometimes sign these note sheets in advance and put them in his pocket. This way he could pass them out and get through a crowd of autograph seekers without getting bogged down. In the movie "Saving Mr. Banks" Walt is shown passing out pre-signed autographs at Disneyland (although if you look closely, the Tom Hanks character is passing out small signed photos, which is not accurate). Walt�s printed name and the Mickey Mouse logo make this note sheet extremely desirable- it literally comes from a notepad Walt used on the desk in his office! Walt is associated with Mickey Mouse more than any other Disney character, yet Mickey Mouse items autographed by Walt Disney are surprisingly uncommon. 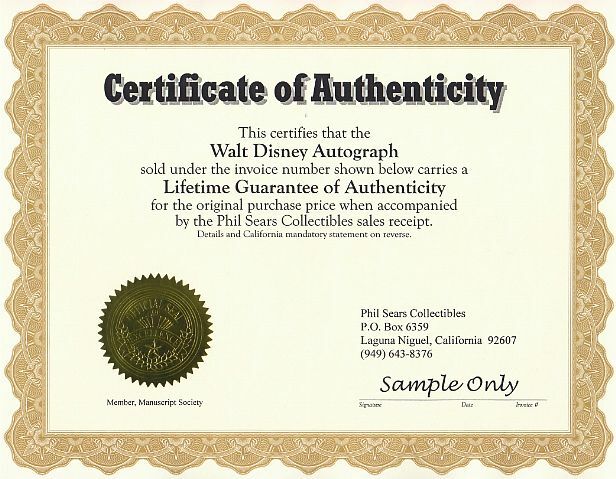 Any Mickey Mouse item with Walt Disney's autograph is highly-prized by collectors, making this piece a treasure! 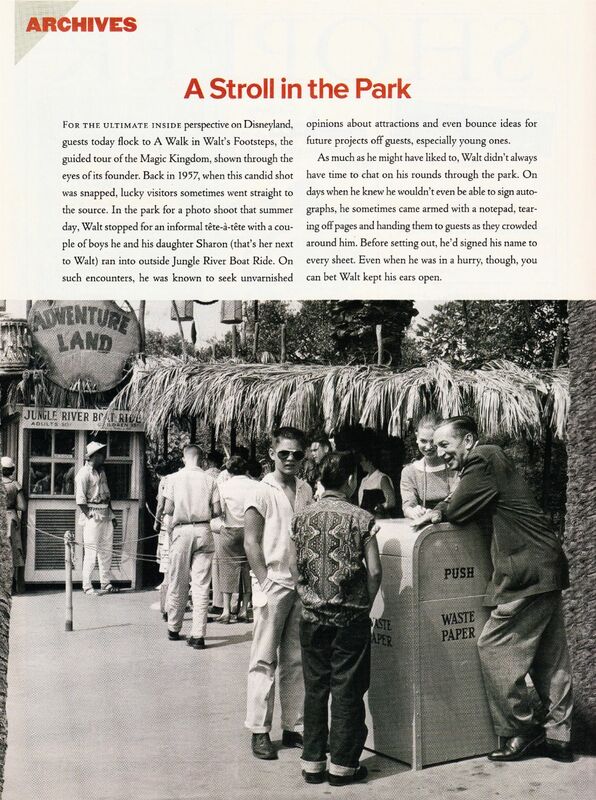 The fact it is a piece of Walt's personalized "Walt Disney" note paper also makes it an exceptional item.